Hello Everyone !! How is your Valentine Week going? 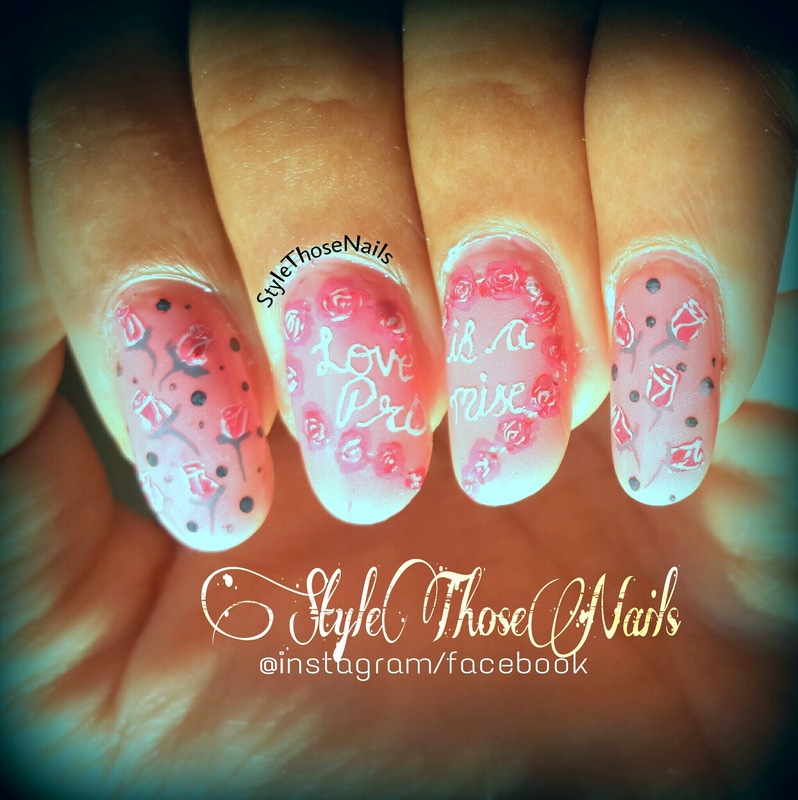 I am today sharing a simple manicure for a special day - Promise Day. I believe love is a promise which once done need to be kept forever. Do you believe in it too ? 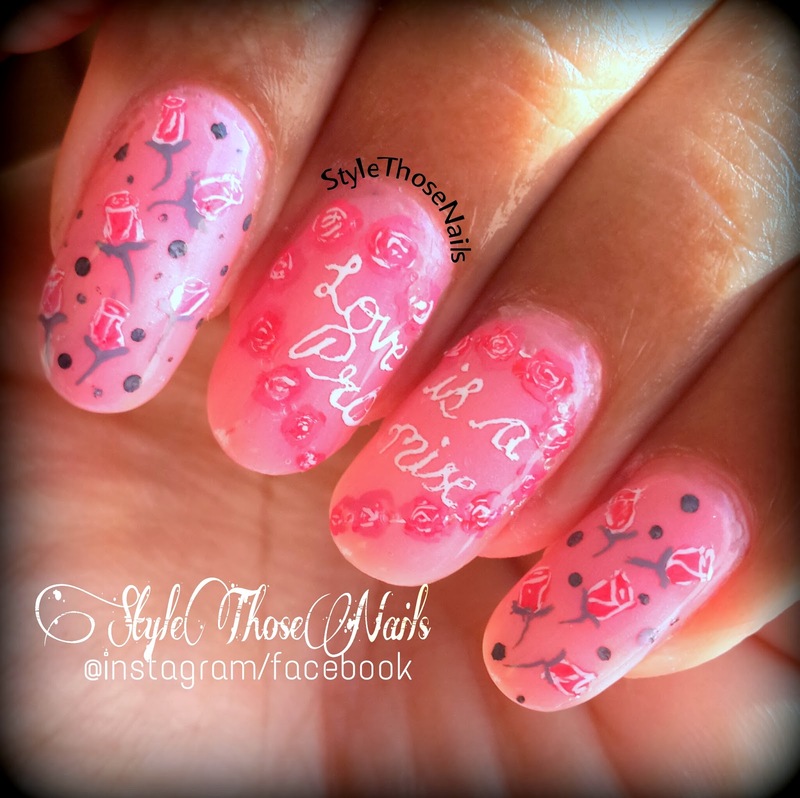 In this manicure I used a soft pink base and then used a darker shade of pink to draw a heart shape. I bordered the heart with roses. Inside heart I wrote what I believe - Love is a promise !! On other two nails I placed random buds of roses so that whole manicure looks symmetrical. If you are wondering what about thumb then I am still rocking that cute teddy I did yesterday ! Couldn't part with it so soon right ? :D If you haven't checked it yet check out HERE.